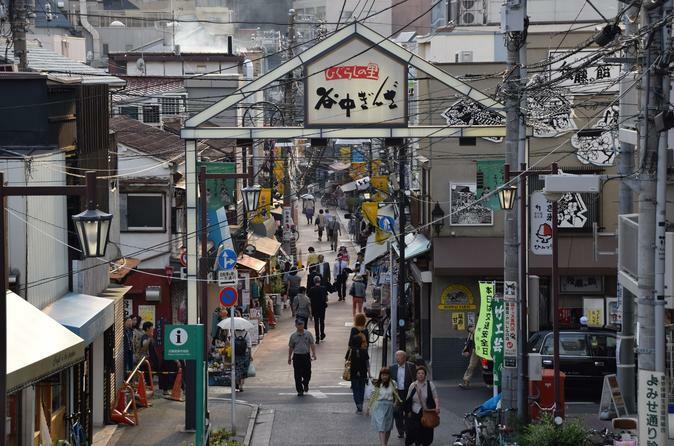 Come and explore the quiet, nostalgic old neighborhood of Tokyo “Yanaka”. This area is downtown and backstreet (Shitamachi) in Tokyo and could feel nostalgic atmosphere from 100 years before. You will have the opportunity to stop by many historical places combined with some galleries, temples and food shops. Live like a local and enjoy Japanese culture while walking with a friendly local guide. Let's explore quiet, nostalgic old neighborhood of Tokyo with our friendly and knowledgeable local guide!! The town “Yanaka” is one of the few places to survive the Great Kanto Earthquake and the fire bombings in WW2. We could understand Japanese dairy and normal life! Your itinerary is as follows. Start from JR Nippori station and visiting nostalgic street Yanaka Ginza. (local shopping street). At there we could see local shopping area. Then we walk through small path and backstreets between local houses. Then move to some sweets store, art galleries and cemetery. At last we see Yanaka big buddha at temple. We conclude nice walking at Nippori station.